Sprinkle with salt, pepper, garlic powder, & onion powder - toss to coat. Remove chicken from oven after 30 minutes and set aside. Do not turn oven off! In a large bowl, add melted butter and hot sauce; stir to combine. Add chicken to butter/hot sauce mixture and toss to coat. Clean baking sheet and line with new sheet of foil. To serve, plate on serving platter. Spoon on an remaining juices/sauce from the baking pan over the chicken wings. 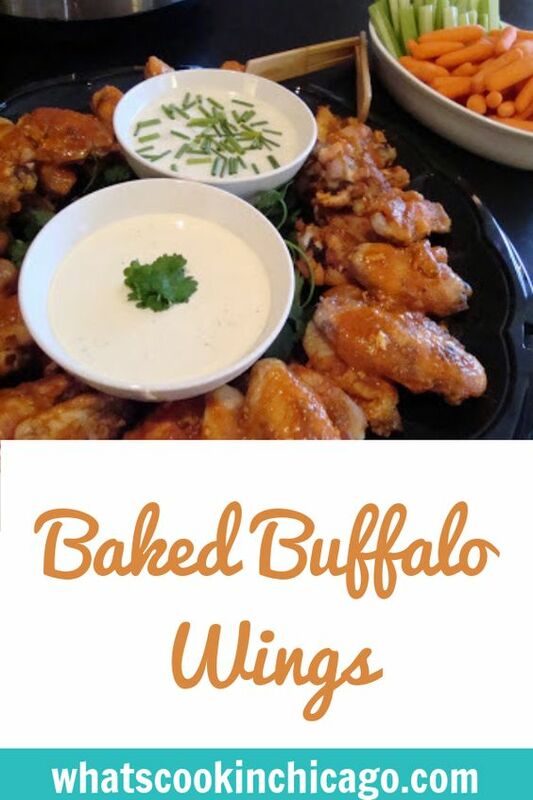 To accompany the wings, serve with blue cheese and/0r ranch dressing and celery sticks & carrots. ** To make ahead, prepare as directed above, until the second baking. You can make this in advance and keep warm in a 250 degree oven an hour prior to serving in place of baking the second time for 10 minutes. Looks good Joelen! I was in Chicago yesterday and we visited the museums. Ate at Red Lobster, sarap! Later today, I get to spend my first Superbowl Sunday. Can't wait to see what's the food being served!